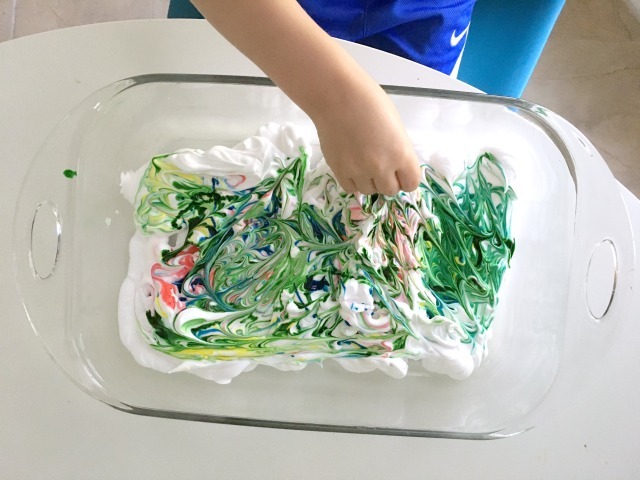 Shaving Cream Marbling - C.R.A.F.T. 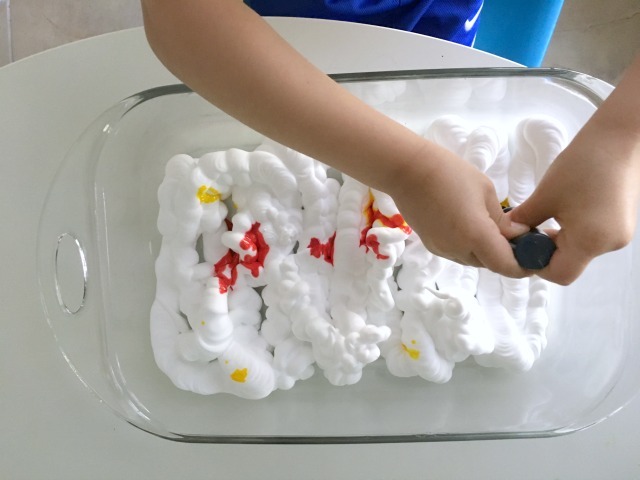 My 4 year old son loved making this shaving cream craft! I mean who wouldn’t? The process is mesmerizing and the results are gorgeous. 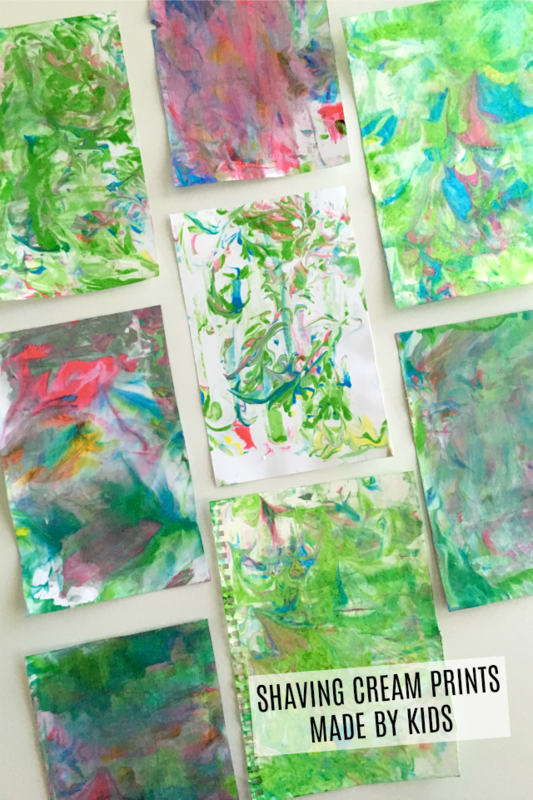 It’s like watercolor meets marbling. Plus you get to play in shaving cream and what kid doesn’t love that? 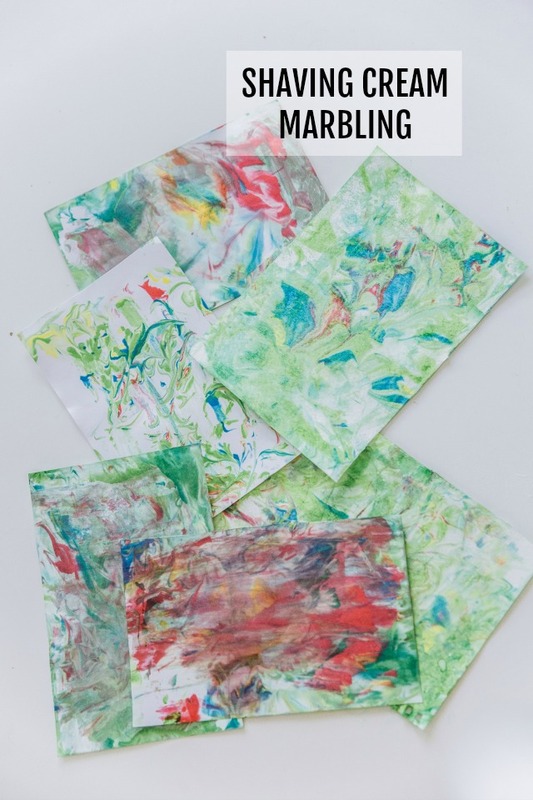 Shaving cream marbling was a big hit in our house and I’m pretty sure your kiddos will love it too. 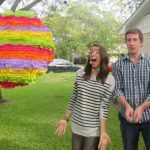 Shaving cream – We used the cheapest kind I could find at Target. 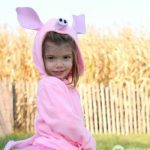 Food coloring – We used this kind. Thick paper – Card stock or we use this kind of paper. Scraper – We used a membership card. You need something sturdy, like a credit card or gift card. Tray or other flat surface you don’t mind getting messy. 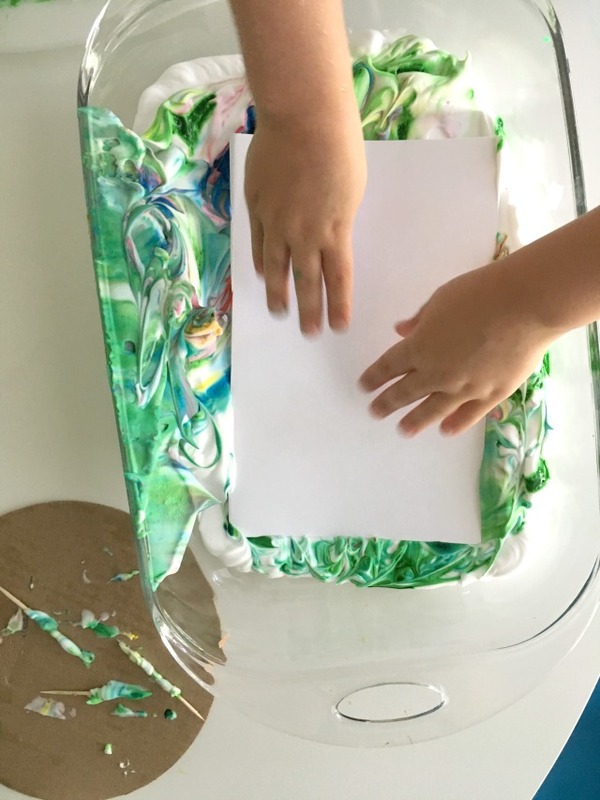 Let your kiddo squirt shaving cream into a baking dish. 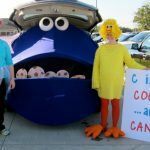 My son loved this part! Cover the bottom of the baking dish with about 1in of shaving cream. Next, add food coloring. There is no wrong way to do this. Maxwell added about 10 squirts of 4 different colors. Use a toothpick or popsicle stick to swirl the food coloring together. You can also use your finger, but it will dye your finger. This is mesmerizing! 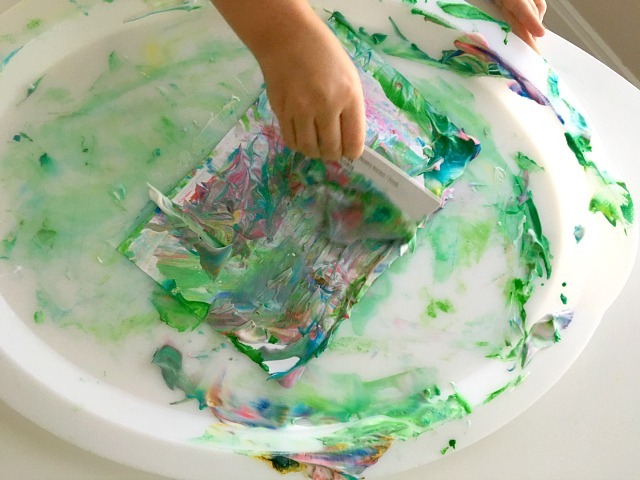 We cut each sheet of water color paper in half so that it would fit nicely in the baking dish. Then, simple stick it right on top of the shaving cream concoction and press firmly with your hands. Pick the paper up out of the shaving cream and place it on a flat surface. This is messy, so be prepared. Use the gift card or credit card to scrape the shaving cream off of the paper. Be amazed at the design that appears! The shaving cream prints are pretty enough to hang anywhere. The refrigerator in your kiddos bedroom or even just tape to the wall, which is what we usually do. But, sometimes I like to make greeting cards with the prints. Fold the watercolor paper in half and voila! Have your kiddo write a note to Grandma about what he just made. Then if you’re still feeling crafty, use this tutorial to make an envelope out of a magazine page. 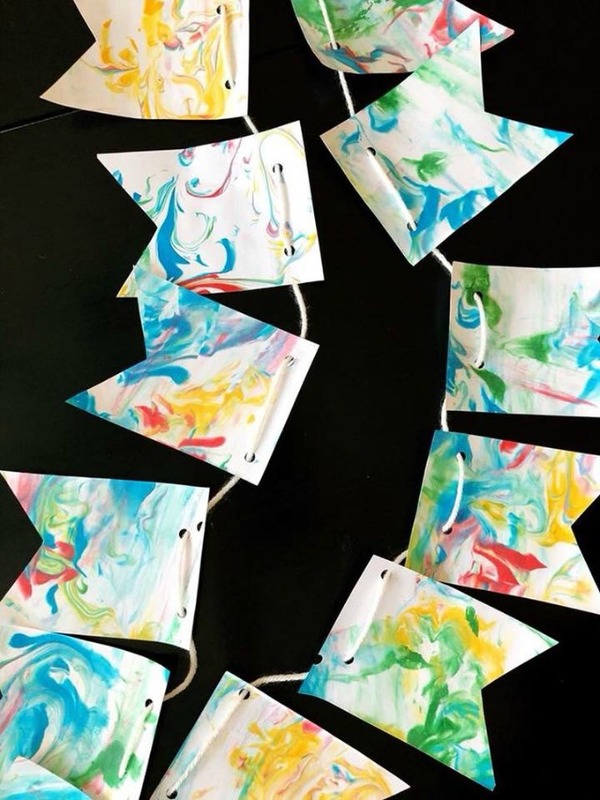 You can turn the marbled masterpieces into tons of things like this adorable bunting! Or my favorite, snail mail cards! I’ve done this too! It’s awesome! Happy to hear you enjoyed it too! 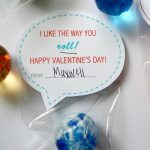 It’s one of my favorite crafts to do with kids! Mostly because I love the process too!